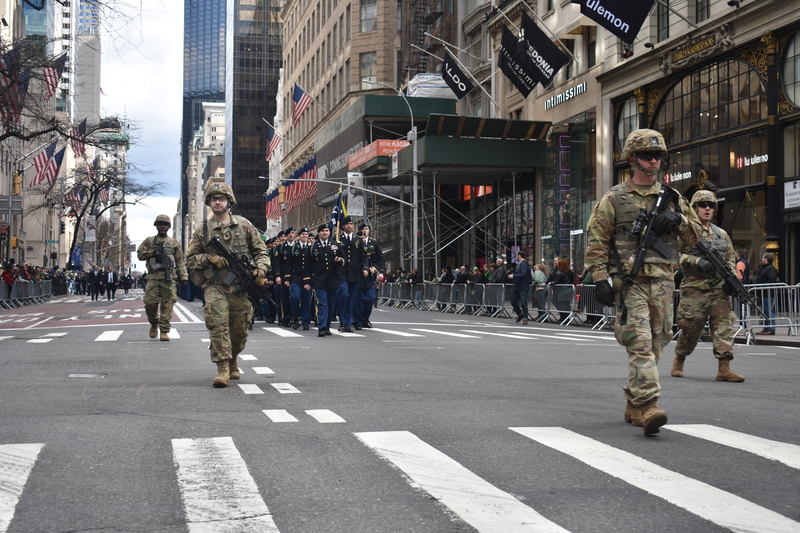 NEW YORK --New York Army National Guard Soldiers of the Alpha Company, 1st Battalion, 69th Infantry march up 5th Avenue as they lead the St. Patrick's Day Parade on March 16 2019. One squad of Soldiers marched in tactical gear while the rest wore the Army Service Uniform. The 69th Infantry has led the St. Patrick's Day Parade in New York since 1851.